“Go run for Johnny Jacobson,” was the recommendation that kick started Ralf Jones career at TransAm Trucking. 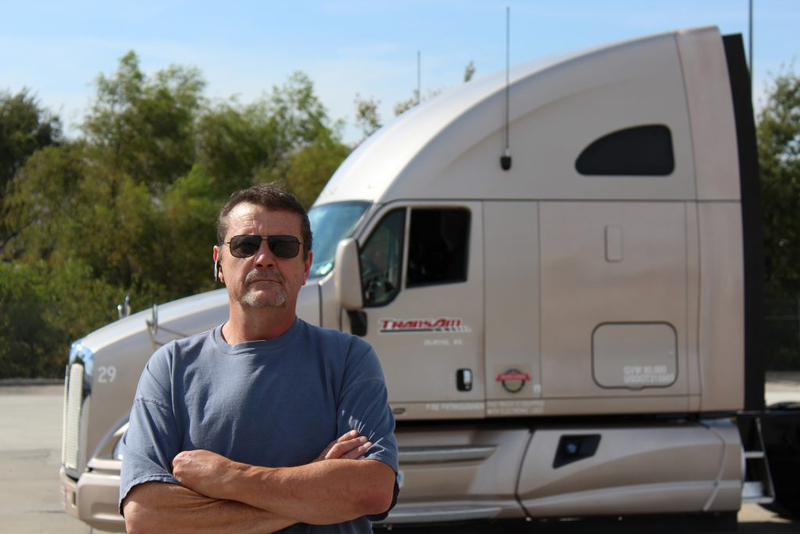 After more than 16 years in the trucking industry, Ralf is an esteemed veteran of the open road. No matter if he is driving through the polar vortex in Minneapolis or navigating the narrow streets of the Bronx, Ralf is always up for the challenge. “It gets in your blood, the passion and the drive to be out on the road. Even when I’m home, the longing for the open road is ingrained in me,” Jones said. Dedicated to his profession, the original cowboy of the open road proves that trucking isn’t just a lifestyle, it’s a calling. Ralf thrives off the everyday challenges of trucking, and commits to a driving schedule of six weeks out, one week at home. You can often find Ralf waking up with the sunrise. With the Midwest skyline in the rearview mirror, Ralf travels to drop off his next load, logging many miles. Ralf lives by the saying “If you’re wheels aint’ turnin,’ you’re not earnin.” Even though the level of responsibility is at an all-time high navigating an 80,000 lb. truck, Ralf always stays steady and calm with the mentality of “taking each day–one load at a time.” He also has sage advice for those just entering the trucking industry, “Being successful as a truck driver is all about the planning. I arrive 15 minutes before my 10-hour break starts. That’s how tight I run. It’s very simple. If you want to make money, keep your door closed and run.” Ralf also attributes his success to his team, “My planners take care of me when I’m out on the road. If I could nominate them for an award, I would, because it is a group effort to plan each driver route to run seamlessly,” Jones stated. Ralf is as passionate about his career as he is dependable. He has built a reputation of being reliable and communicating with his team. “Ralf is a very hard working driver. He does an excellent job of planning his trips and you can bet your last dollar that if he says he will be on time, he is,” his driver manager, Bob Hubbs says. Over the last decade, Ralf Jones has truly been an irreplaceable asset to the TransAm family. When asked what his future plans were for his career, Ralf stated simply, “I found my home at TransAm. I don’t plan on going anywhere except the open road for my next load.” Thank you, Ralf, for your continued dedication to your profession. You stand as an inspiration to all drivers aspiring to have a life-long career in the trucking industry.